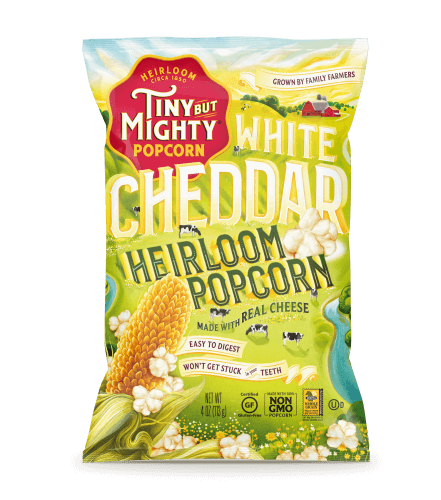 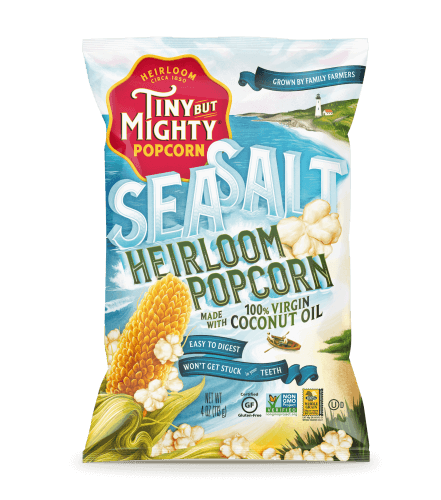 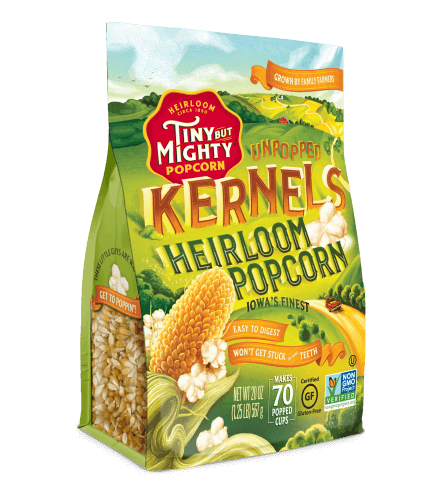 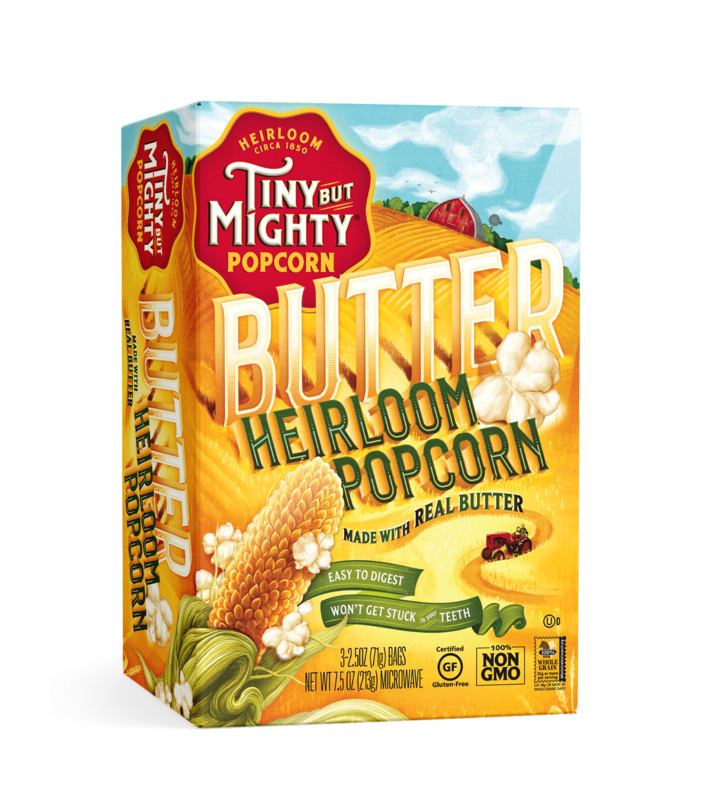 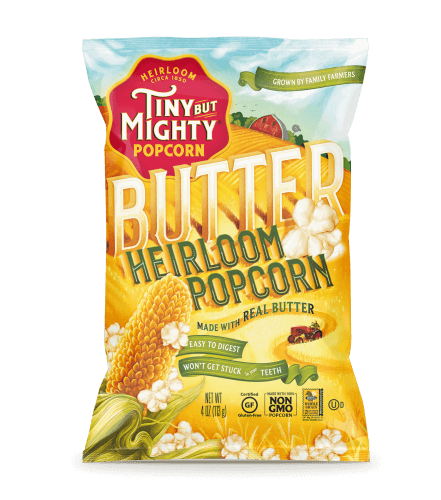 Real butter and all natural ingredients are the perfect complement to Tiny But Mighty Heirloom Popcorn. 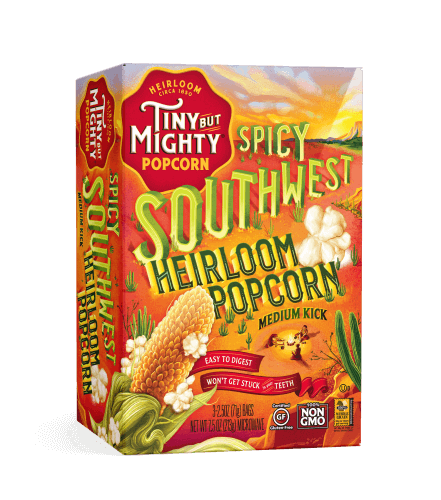 Pop up a delicious bag in the microwave in about 2 minutes, to enjoy at home during movie night or just because you can. 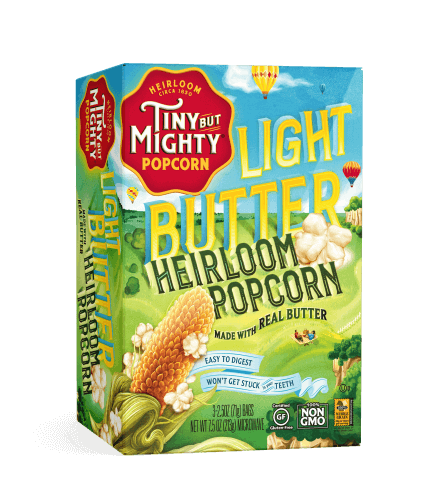 Our popcorn is completely gluten free, easy to digest and won’t get stuck in your teeth.